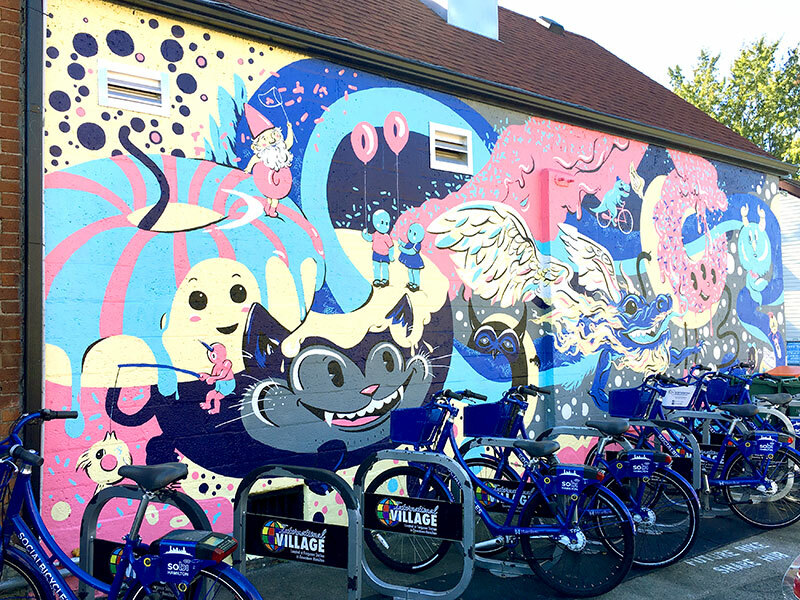 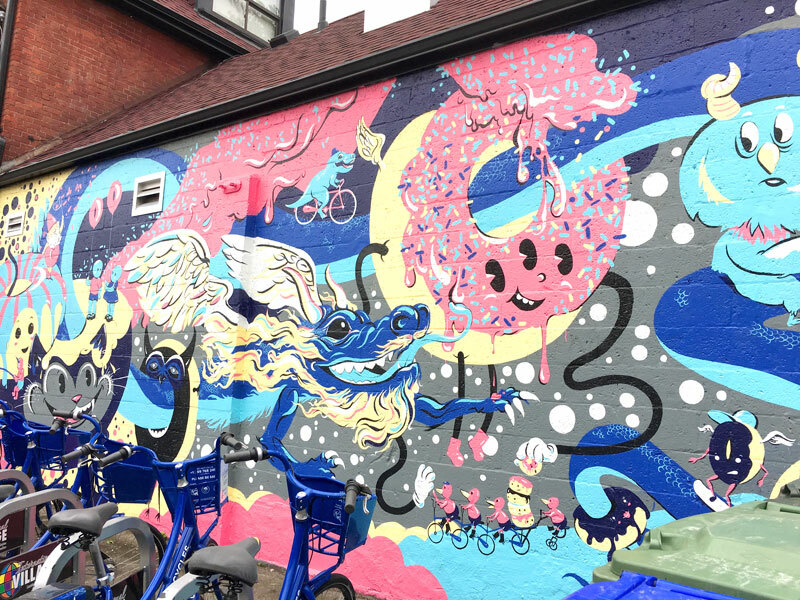 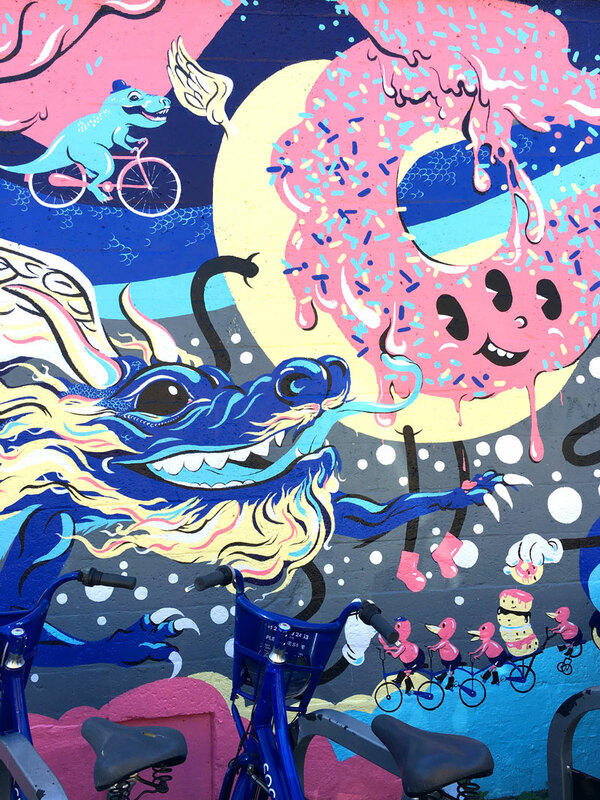 Hand-painted mural for the Exterior of Donut Monster, Locke St. Hamilton, ON. 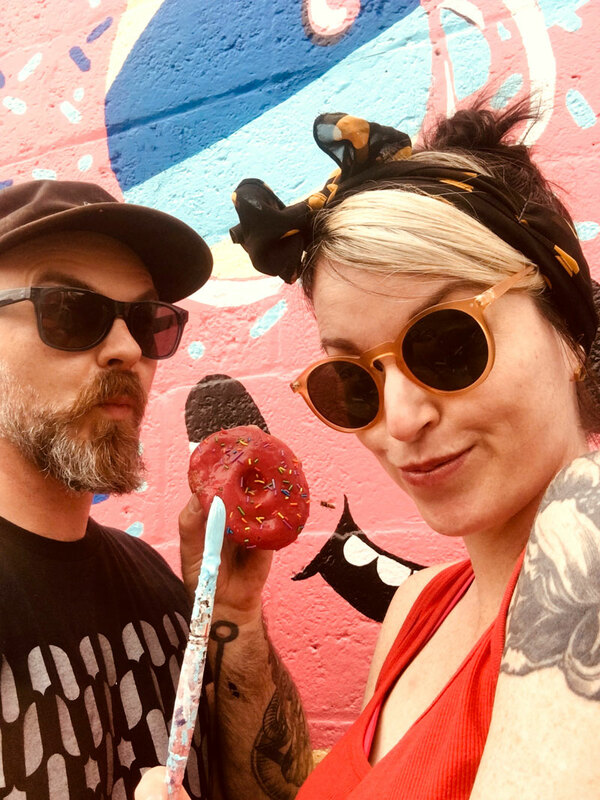 Not only were the folks at Donut Monster wonderful to work with but they also kept our energy up with a steady flow of delicious donuts. 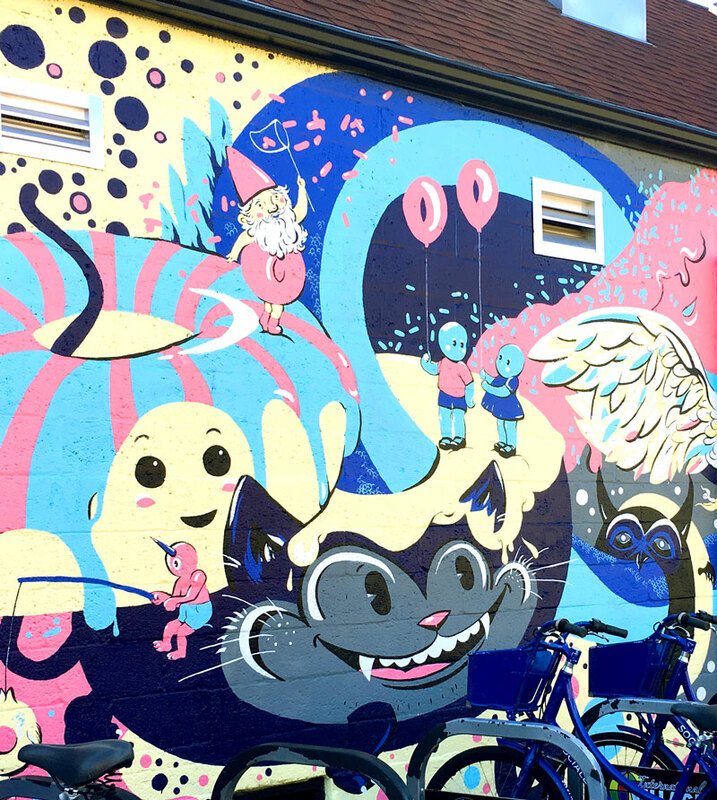 This might be why the mural looks a touch hyper.